Shopping for wedding rings sets can be overwhelming. You don’t want to view too many rings, but you also don’t want to view too few rings. It’s never a good idea to go with the first one or two wedding ring sets you view. No matter where you look, there should be a large selection of popular rings like at Novori Jewelry. If you can’t find a large selection in one location, there’s nothing wrong with looking in many different shops or on many different websites. If you can’t decide which type of wedding rings you want, then you can always get recommendations from friends and family. Do you want to view white or yellow gold, silver, platinum, or titanium wedding rings sets? Where can you find the best selection of wedding ring sets? Online or in a local retail store? Since becoming a wedding tradition, wedding ring sets have been a status symbol and a mark of prestige. But that’s not really anything to consider while shopping. Sure, you want to look good, but remember that wedding rings sets are supposed to symbolize your relationship. Your status or what other people will think shouldn’t be a concern. 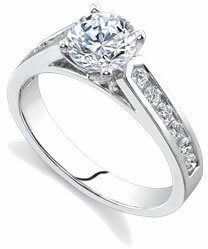 You first need to decide your budget for your wedding ring set. Before starting your search, set a firm budget. This way you’ll be able to view affordable wedding rings sets and avoid the rest. Your budget will have an effect on the type of metal your ring is made of. Platinum is very expensive. So unless your budget is large, this metal won’t even be on your list. White and yellow gold are popular choices, and can be found relatively inexpensively. Silver can also be found in a wide range of prices. Another relatively inexpensive option is titanium. Titanium actually hasn’t caught-on like gold, silver, and platinum. And you may not find many wedding ring sets made from this metal. But if you do come across any titanium rings, don’t mistake them for cheap silver. Titanium is very lightweight, and almost feels like aluminum. Some people prefer it to gold, silver, or platinum because of its weight. So if you’re on a tight budget, because they are so cheap, titanium wedding rings sets may be of interest. After you’ve decided on how much money you’ll spend, and what type of wedding rings you’ll pick, it’s time to start shopping. You should start your search online from the leisure of your own home at www.novori.com If you’ve done your homework, then the experience should be fun and pleasant for both your and your partner. If you haven't, give us a call at Novori Jewelry for assistance at any time. We are here to help at 1-877-877-4141 toll free.